If I’m being honest, I spend a good chunk of time throughout my day dreaming about working out or dreaming up new workouts, often when I really shouldn’t be. Like at work. When work gets stressful for me I default to what I know will make me feel better, and that’s working out. Since I usually do my workouts in the early mornings, if I do any type of workout at night it’s generally a little less intense – running, biking or a short circuit or two. Working up a sweat and focusing your energy (both physical and mental) on a quick evening workout can really set you up for a more relaxing and productive evening at home. 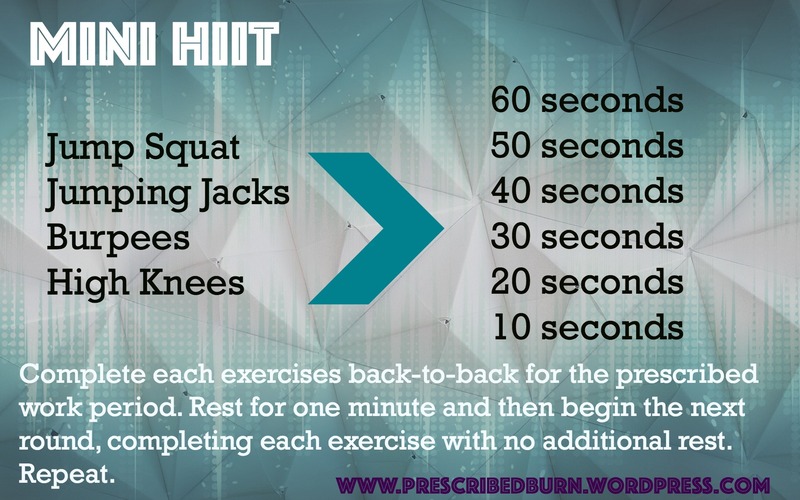 Here is a quick, less than 20 minute, workout that can help you unwind from the day. It’s quick, effective, and requires absolutely no equipment so you can do it at home before you start making dinner or even while you wait for it to cook! What is your favorite kind of workout to de-stress?